Osteo Bi-Flex Edge Joint & Muscle Supplement provides nourishment for your joints and cartilage; so, you can stay in the game and maximize your performance. 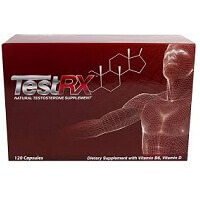 These tablets also contain Co Q-10, a bioenergetics compound naturally present in the muscle. The formula is ideal for those who demand nothing but the best from their bodies. 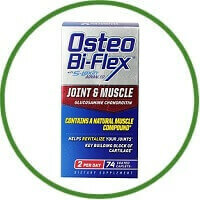 Stay in the game with Osteo Bi-Flex Edge Joint & Muscle. This supplement supplies you with the nutrients you need to nourish your joints and cartilage and to promote mobility and flexibility. This formula features Joint Shield, a proprietary ingredient 5-LOXIN Advanced, to soothe joints and help with occasional joint stiffness. It also features glucosamine to provide the nourishment your joints and cartilage need for comfortable movement. These tablets contain Co Q-10, an important compound that’s naturally produced in the body, where its normal role is to help produce energy within muscles. When used as directed, Osteo Bi-Flex Edge Joint & Muscle can provide a range of potential benefits. The recommended dosage is two coated tablets per day. Individual results may vary.